After a relatively short drive, we arrived in Calistoga. Calistoga is in Napa Valley, but more than that Calistoga means our friends Will and Wendy. Will and Wendy represent all that’s good in the world. Stopping to see them was much needed as balm for my writer’s soul. In addition to their grace, optimism and abundant kindness as balm, there is wine. Will Mendoza is a fabulous winemaker. In addition to Will, another friend, Stephanie is also a winemaker. My soul is soothed. It’s a lot of food, wine and laughter. Wendy hosted a winemaker dinner for Stephanie on Friday. Empanadas cooked with love by Estela Lopez, Wendy’s mother graced the table. Talk turned to the art of creation…both in wine and words. She sold several bottles of wine, and I sold a couple of books. My cousin, more of a sister to me, drove up from the city to visit. Saturday continued with feasting, sangria, and soccer. 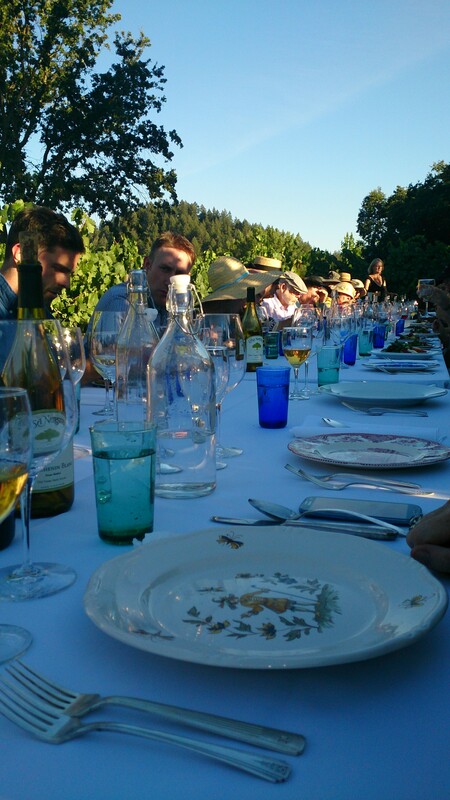 A wine maker’s dinner at Casa Nuestra delighted with wine and dinner among the vines. 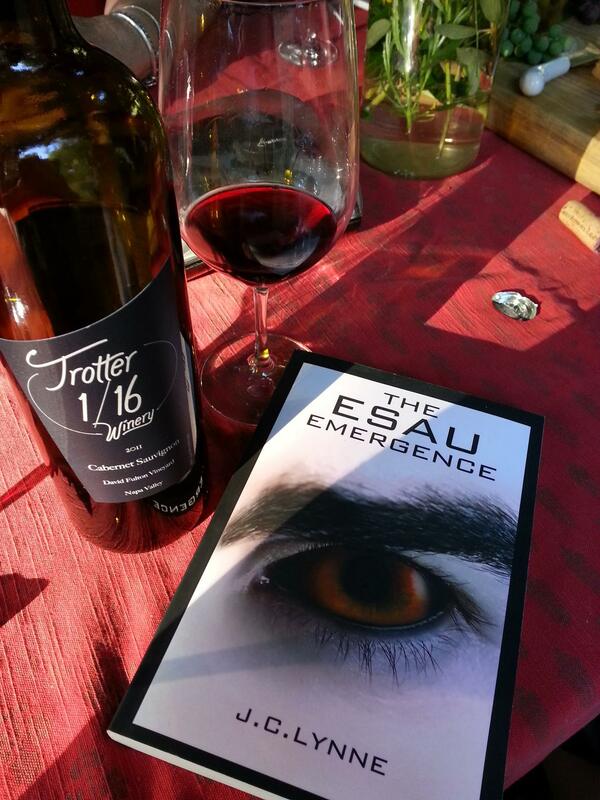 Toasts of creativity flowed and Katrina Kirkham from Casa Nuestra Winery was kind enough to mention my book. Painters, poets and writers honored those most creative of people…wine makers. It’s all art! Sadly, Sunday heralded my departure from Will and Wendy’s secret haven and my favorite place on the planet. I did manage to catch the first half of the FIFA final. Did you see that headshot? Yikes. The upshot to watching Calistoga fade in my rearview mirror is that my aunt and uncle’s place is on the horizon. My family is an amazing group of people and next to Will and Wendy there’s no other place I’d rather be. The Beard and Son 1 landed this morning in time to issue driving comments from the backseat. I’m not sure I want to venture with the Beard on a road trip….the partnership might not survive.